His chef son, Richard, who helped demonstrate alongside his dad. Decades of cooking and restaurant experience as the owner of My π Pizza Unique Pizza in the Pan. An awesome tomato sauce recipe that he had developed especially for the Regenstein Fruit & Vegetable Garden’s Heirloom Tomato Weekend. 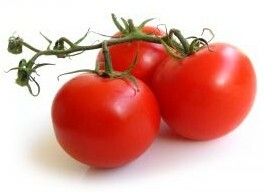 Aronson knows tomatoes, and he knows that many of us are just starting to pick the first ripe tomatoes from the vine. (Cooler nights have delayed ripening.) What can a gardener do with just a few tomatoes from each plant, instead of a bushel full? The flavorful sauce was a hit at the chef demonstration that day, and it was a hit with the volunteers and staff who got to sample it at a follow-up luncheon. At the latter, Aronson also served the “winter” version of his sauce—same recipe, but made with canned tomatoes instead of fresh. Both were tasty, in different ways: the “summer” version was light, bright, and refreshing; the “winter” sauce was thicker, richer, and heartier. Aronson will have copies of his recipe on hand and will be talking tomatoes when he volunteers at Heirloom Tomato Weekend this Saturday and Sunday (11 a.m. to 4 p.m. each day). Stop by to talk tomatoes—and recipes! We’re happy to share the recipe here, too—just in case you need it for tonight’s tomato sauce. 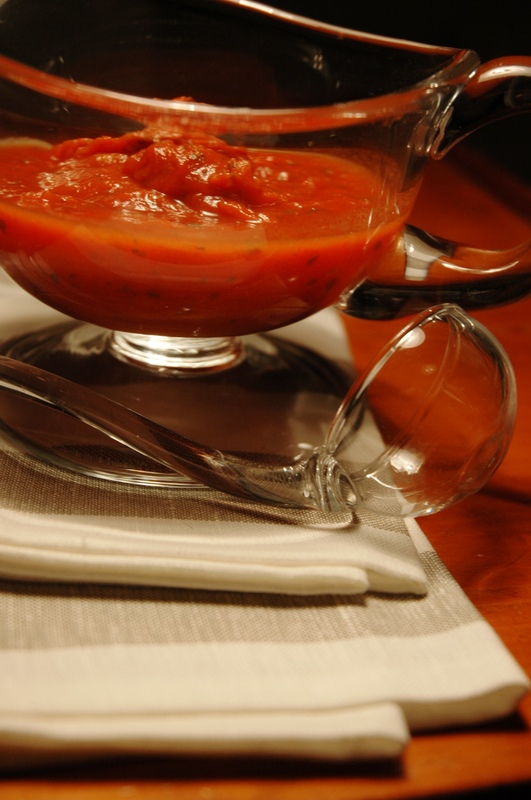 Click here to download a PDF of Larry Aronson’s marinara recipe.